We’d love your help. 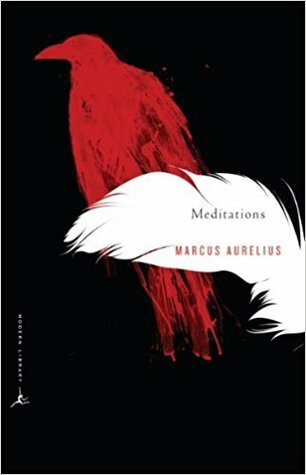 Let us know what’s wrong with this preview of Meditations by Marcus Aurelius. Everyone gets one life. Yours is almost used up, and instead of treating yourself with respect, you have entrusted your own happiness to the souls of others. This highlight has been truncated due to consecutive passage length restrictions. 13. Nothing is more pathetic than people who run around in circles, “delving into the things that lie beneath” and conducting investigations into the souls of the people around them, never realizing that all you have to do is to be attentive to the power inside you and worship it sincerely. To worship it is to keep it from being muddied with turmoil and becoming aimless and dissatisfied with nature—divine and human. Even if you’re going to live three thousand more years, or ten times that, remember: you cannot lose another life than the one you’re living now, or live another one than the one you’re losing. The longest amounts to the same as the shortest. The present is the same for everyone; its loss is the same for everyone; and it should be clear that a brief instant is all that is lost. For you can’t lose either the past or the future; how could you lose what you don’t have? Anything at all: the applause of the crowd, high office, wealth, or self-indulgence. All of them might seem to be compatible with it—for a while. But suddenly they control us and sweep us away. So make your choice straightforwardly, once and for all, and stick to it. Choose what’s best. —Best is what benefits me. reacts to events by accommodating itself to what it faces—to what is possible. It needs no specific material. It pursues its own aims as circumstances allow; it turns obstacles into fuel. People try to get away from it all—to the country, to the beach, to the mountains. You always wish that you could too. Which is idiotic: you can get away from it anytime you like. By going within. that no one does the wrong thing deliberately; and the number of people who have feuded and envied and hated and fought and died and been buried. … and keep your mouth shut. is it your reputation that’s bothering you? But look at how soon we’re all forgotten. It can ruin your life only if it ruins your character. Otherwise it cannot harm you—inside or out. Not what your enemy sees and hopes that you will, but what’s really there.